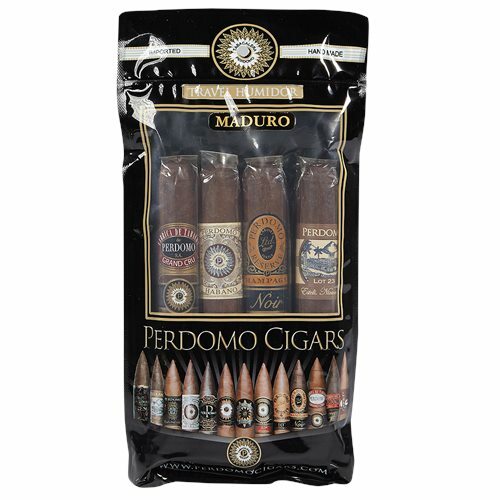 This collection features four stout, flavorful, premium maduro blends from Tabacalera Perdomo. La Gloria Cubana cigars are precisely made with the finest tobaccos, and 6 different vitolas of these premiums are bundled together in the 6 Cigar Collection. Each cigar core is made up of Dominican and Nicaraguan fillers wrapped up in an Ecuadorian Sumatra leaf. A balanced complexity of notes of earth, oak, and espresso shine through in these La Gloria Cubana Collection 6 Pack . La Gloria Cubana 6 Cigar Collection is an exceptional brand to stock up on.